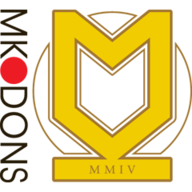 Colchester were indebted to their outstanding goalkeeper Sam Walker after he helped them secure a 0-0 draw at MK Dons. The Dons enjoyed the bulk of the chances, but on-loan Chelsea keeper Walker made a string of superb saves to keep them out. Luke Garbutt hacked away Dale Jennings' effort from near his own goal-line, while Walker parried away Patrick Bamford's low shot soon after. Tom Eastman wasted Colchester's best chance when he headed straight at Dons goalkeeper David Martin following Garbutt's free-kick. Walker denied Bamford and Jennings, who also went close with a 25-yard strike that dropped just past the post, but the first half finished goalless. After the break the Colchester keeper foiled Ben Reeves and Shaun Williams, while Darren Potter's deft header dropped just wide. Jennings then went close and Bamford fired straight at Walker, who also denied Dele Alli. 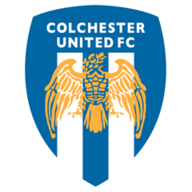 As the game reached a climax Walker brilliantly diverted Stephen Gleeson's effort on to the woodwork and Garbutt's attempted clearance hit the underside of the crossbar and post deep in time added on as Colchester hung on for a point.